Hardware is the physical equipment that is necessary to make an internet connection possible. A router is a hardware device that determines the most efficient route to transmit data over the internet. When an IP packet of data reaches a router, it examines the data to see where it is going, and determines the most efficient way for it to travel to that address. If the data is being sent within a same network, the router will send that packet directly to the destination. 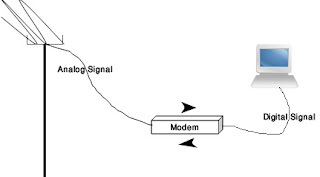 If the packet is going to a location outside of the local network, the packet will go from one router to another until it gets to its destination. 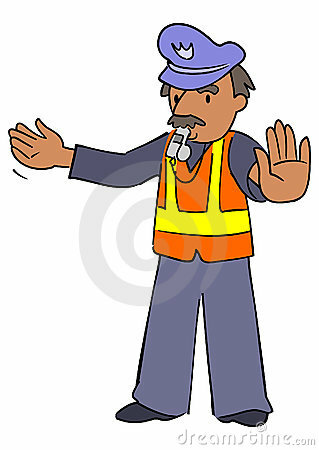 Just like a traffic cop, the router directs traffic to ensure that there is no traffic congestion. Modulator- Demodulator - a modem is an essential piece of hardware that is used to connect a client to the internet. Just like a translator, a modem is a device that translates signals between analog and digital. Computers communicate in digital,. Analog signal coming from the ISP (DSL or Cable) uses the exact signal waveform, whereas digital is binary code ("1's" and "0's". Wireless modems convert digital data into radio signals. A client is a computer that is indirectly connected to the internet through an internet service provider. The client computer is a client because it obtains data/service from a server through a network. Therefore a client can be a personal laptop, a smart phone, or any device that has the ability to go onto the internet. A server is like a waiter that provides a service to many different clients. Server computer is where information and different kinds of applications are stored. That information is fed directly into the internet for many different clients to access. When a person goes to www.facebook.com from their personal computer, that person is accessing information from Facebook's server. It is on that server that everyone's pictures are stored, information is held, games are played and etc.